Let’s define Addiction in its simplest term: Anything that we use or turn to over and over to meet a legitimate need in an unhealthy way. If you relate with the below, you could be a Facebook Addict! 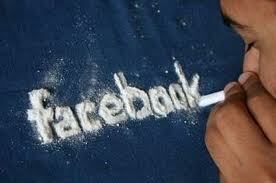 1.You use Facebook as a distraction and it takes you into a fantasy world on some level. Facebook can give you the illusion that you have many friends and yet does not require personal contact face to face. 2.You are constantly thinking of what you could share with your online Facebook friends. Individuals now have the ability to update their status right from the phone. Anywhere and anytime! Do people really want to know what you just had for dinner? 3.You have no boundaries online that you would normally have if it were face to face interactions. Online boundaries should be treated just like regular boundaries — even if those people are only a click away. Have a balance in your relationships. Make sure you are putting more time and effort into the relationships around you then your online relationships. 1 – Discuss with your spouse what friends are acceptable or not acceptable? What kind of personal information will you post? 3 – Do Not Post negative things about your spouse. I have several couples mention this to me, that after they had a fight, one of them let their Facebook friends know about it. In the heat of the moment, avoid the temptation to blast your spouse or say something embarrassing about them through your status or wall postings. About the Author: Relationship Expert, Janie Lacy, LMHC, NCC offers expert advice to Local and National TV News & Relationship Websites and provides phone or face-to-face counseling in the Orlando area. 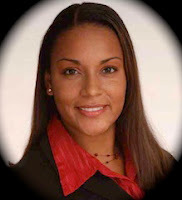 Janie has a relational approach and a unique ability to connect with individuals. Drawing upon her broad range of experience in private practice, not-for-profit organizations, hospitality and the medical industry, she has helped countless people in many arenas of life. She offers keen insight on all aspects of relationships – family, marriage, parenting, dating, and personal growth. Connect with Janie on Facebook or Twitter.